Somewhere out there is Ryan, playing open hockey on Saturday night. We always try to balance conversations about autism with Ryan by discussing both strengths and challenges. But the reality is we spend a lot more time talking about the latter. That is also the case here, so today’s post is an attempt to level the scales just a little bit. Ryan cares what other people think of him. This is a learned behavior, years in the making. But here’s the beautiful part: He doesn’t care enough to let it alter what he wants to do. And you know what? When I was his age, I couldn’t do that. Heck, I’m still not as good at it in my early 40s as he is at 14. What a gift to be free to pursue that which interests you without wasting emotional energy on worrying about how your peers might react. Two examples in just the last week made this crystal clear. Ryan has been working really hard to get stronger. Push-ups, pull-ups, planks, dips, etc. I joke with him that he does a “prison workout.” But what he really wants to do is lift weights. We cautioned that he is just entering the age where weights are appropriate, so he’s not really behind. Still, when his middle school offered an after-school weightlifting class, he rushed to sign up and was thrilled to secure a spot. I asked him how the first class went, and he said it went well. He began working the basic exercises, such as the bench press, with very light weights. Ryan’s only hesitation about taking the class was that some kids might be a lot stronger than him. So we asked some gently probing questions to see if anyone had commented on the weights he was using or made him feel bad. If they did, it didn’t affect him. For me, this conversation was a flashback to when I was his age, struggling to put up low weights on the bench press in the high school weight room. The difference was, I wasn’t there on my own, trying to pursue a goal. I was there because it was required for the sports I played. And I hated every second of it. Thus began a vicious cycle. I hated lifting weights because I wasn’t very strong so I didn’t lift weights to avoid something I hated. It never changed throughout high school and as soon as I was free of required lifting sessions, I never wanted to do it again. In retrospect, this was stupid because A) everyone has to start somewhere and B) my peers were far too busy worrying about themselves (or what others thought of them) to spend time thinking about me. Ryan? He sees a goal, he learns the steps to pursue it, and he goes about his business. It’s an economy of thought that skips all the senseless worrying about what others think. It’s very freeing, and I wish I could do the same. 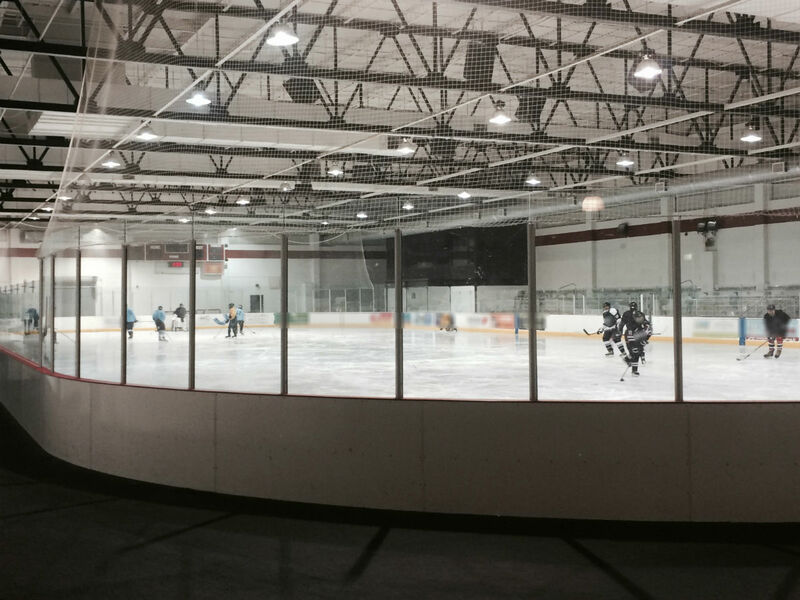 Saturday night, Ryan wanted to go to “open hockey” at the local rink. It’s a pay-to-play pickup game, and some of his middle school friends attended in recent weeks. I wasn’t sure this was right for him, but he was determined. He started texting his hockey buddies and learned a few of them would be there. Veronica smartly held me to my promise to take him if he found a friend that was going, because my doubts were more about me than him. It was an all-ages session and I worried about the level of play. What if he wasn’t nearly as good as the other players? Would they make fun of him? Would he be socially awkward n the locker room around a bunch of high school and adult-league players? This was definitely stepping out of his hockey comfort zone — or was it mine? I saw the look of anticipation on his face as we arrived at the rink and when his friends arrived. I watched him hit the ice with the others, a smile across his face. I know that feeling when I play in my beer-league games now, but if I’m being honest, I didn’t enjoy it as much at that age as he does. He’s not a little boy any more. He’s nearly six feet tall. His skating and stickhandling have improved markedly. He wasn’t the best player out there, but he was good enough to keep up, and besides, he was out there trying to get better. I smiled, realizing he was fine, and left the rink. Once again, I had a flashback. It was exactly the kind of challenge I avoided at his age, too worried about what others thought of my ability, when the truth is they probably didn’t care about me. When I picked him up, he was not discouraged at all. He said that most of the players were better than him but that he had fun. He’s planning to make it a regular thing. And another obstacle is cleared, not with our encouragement, but because Ryan’s unique sense of self, where he simply has no use for concern about what others think, won’t allow it to stand in his way. I can, and do, learn a lot from my son. But I can’t think of a more valuable lesson than this. Do what you love. Don’t spend two seconds thinking about what others think. The time and energy most of us waste on that pursuit could better be spent enjoying our favorite activities — and not giving a #!%* about anyone else. Do that, and nobody will get the best of you. Very glad I came across this post. I am a parent too. I, too, have had to take a step back and reflect on whether our avoidance of an activity is because of MY anxiety, or my son’s. I certainly feel it. I watch him run to play with his friends and hope to heck all goes smoothly. It took me several years to create my “thick skin”, where I am now, as you say, at the point I don’t care… *much*. Looking forward to reading more of your blog. Thank you. I’m like you, I still worry but it’s amazing to see how far he has progressed socially. My kiddo is just learning to skate (he is 3.5) and his dad and I just found your blog. So great. Thank you for sharing your journey, and your son’s. The lessons our kids can teach us are priceless. My kid surprises me every time he steps out on the ice. Thanks for reading! 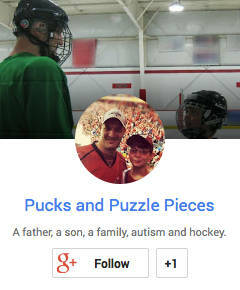 If you go back to the very beginning of my blog in Feb., 2012, you’ll find the story of my son’s first time on ice, and how he went from that to skating in front of 47,000 people a few short years later.